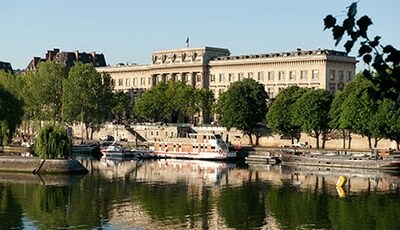 Built in the 17th century, the Hôtel d’Évreux is a model of period architecture. 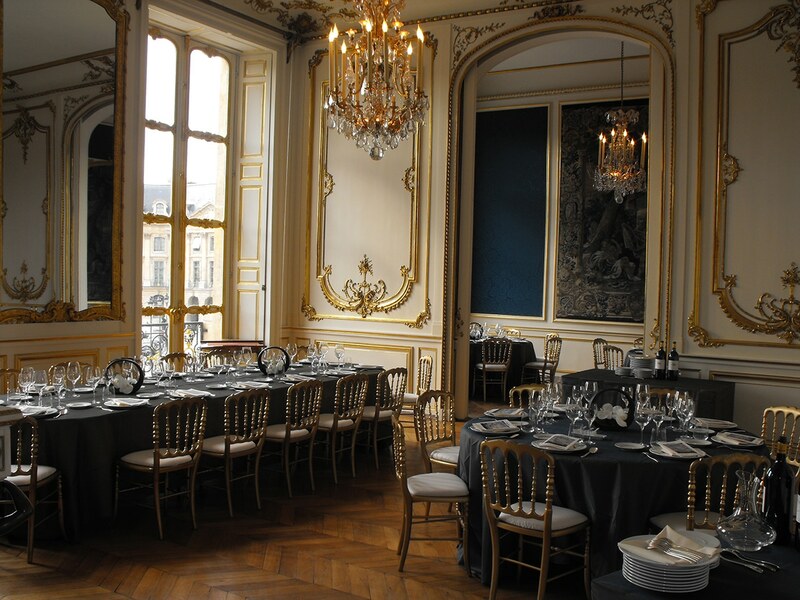 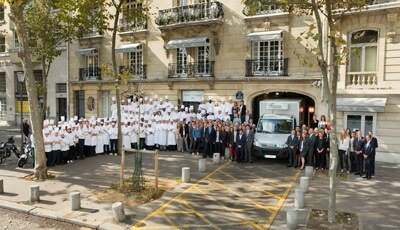 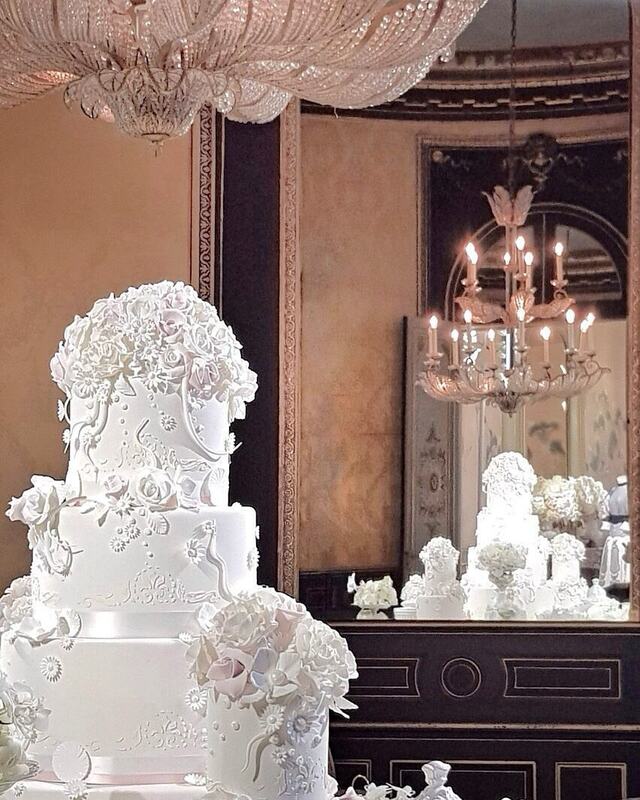 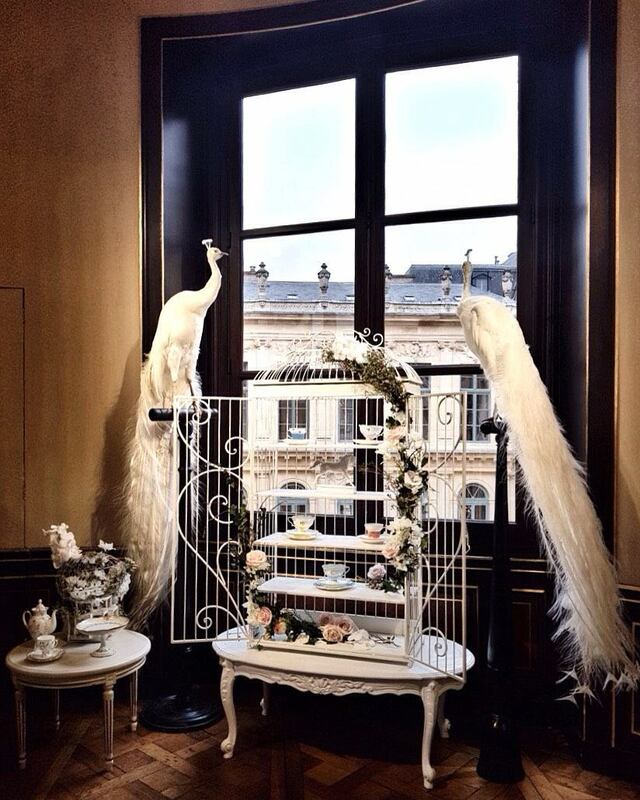 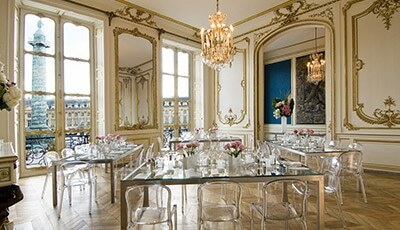 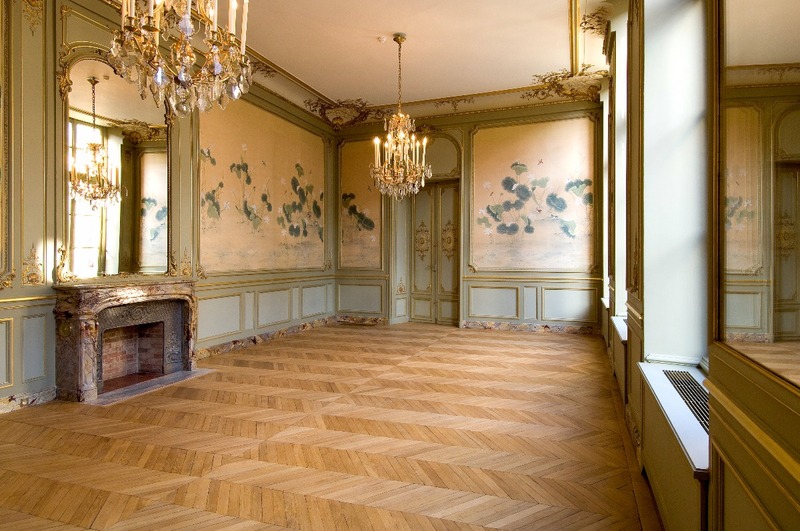 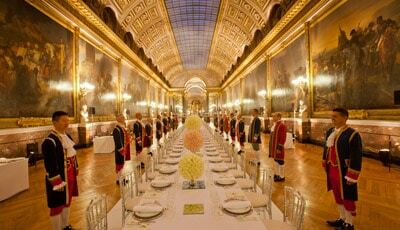 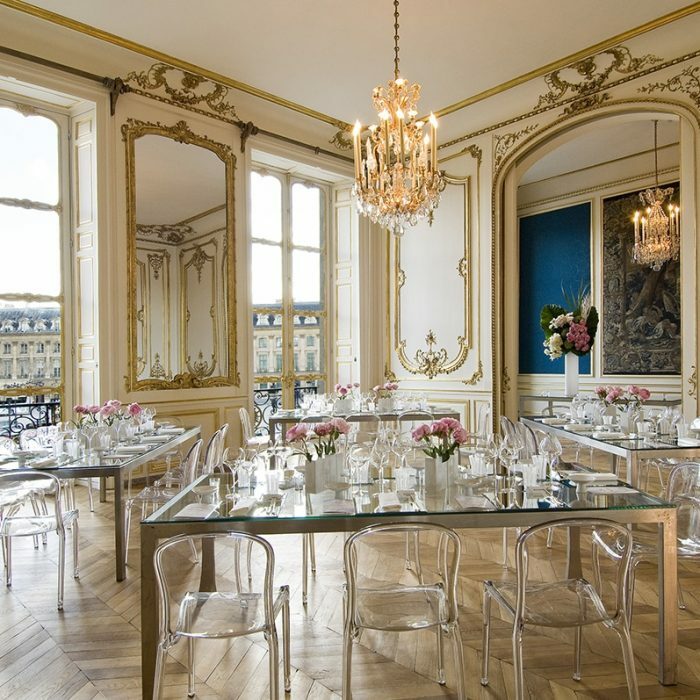 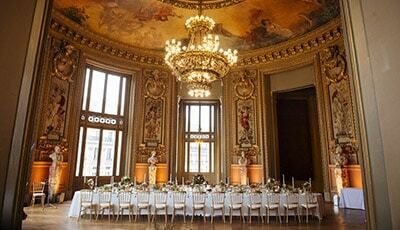 With its 18th Directoire and Napoléon III style rooms, it’s a jewel of the Paris historical and assets heritage. 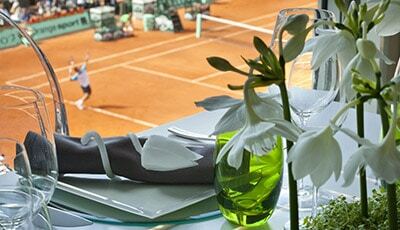 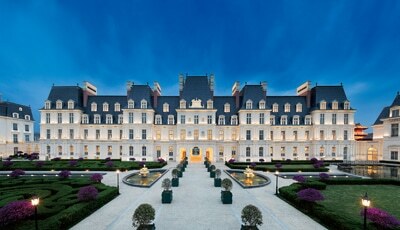 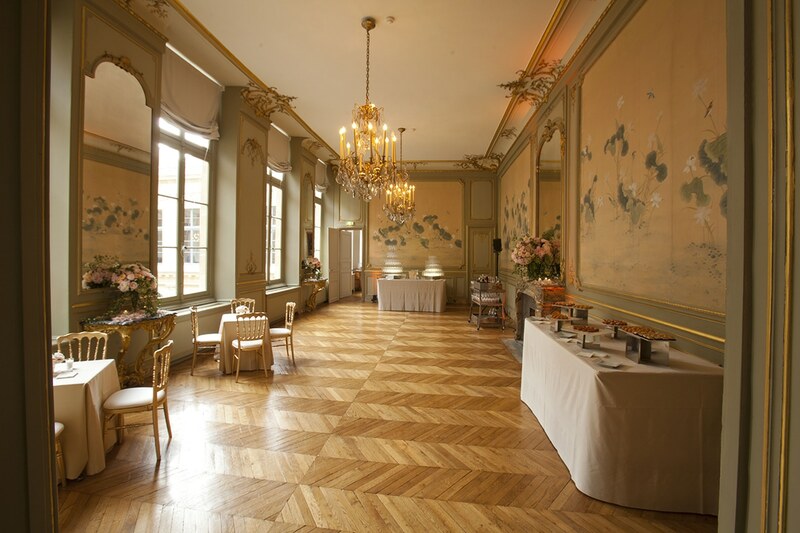 About space, the Hôtel d’Évreux offers four exceptional rooms. 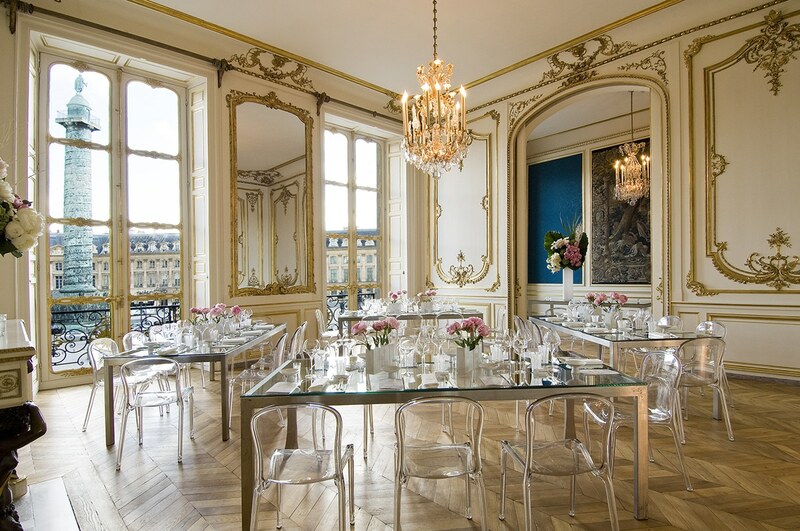 With its high windows opening a unique perspective on the eponymous place, the series of rooms enjoys an exceptional brightness. 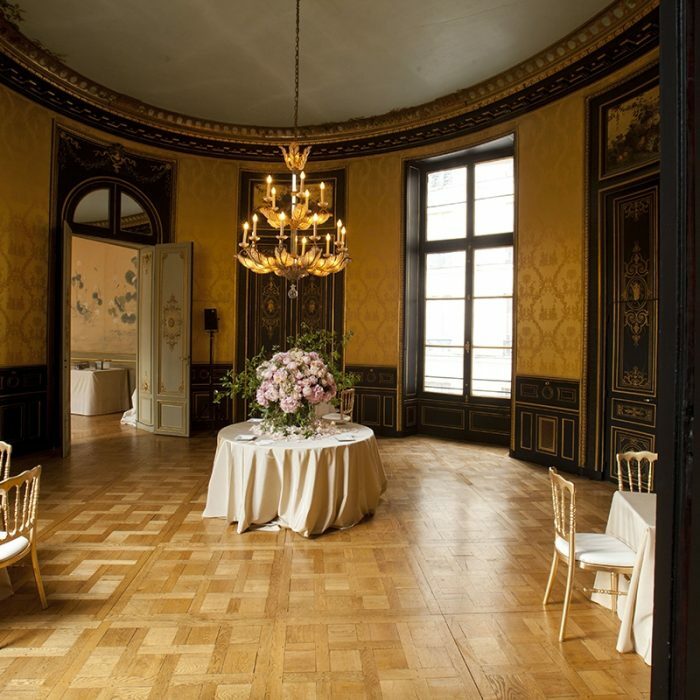 Their sumptuous interior architecture and their 18th century decoration make these wonderful rooms some historic jewels. 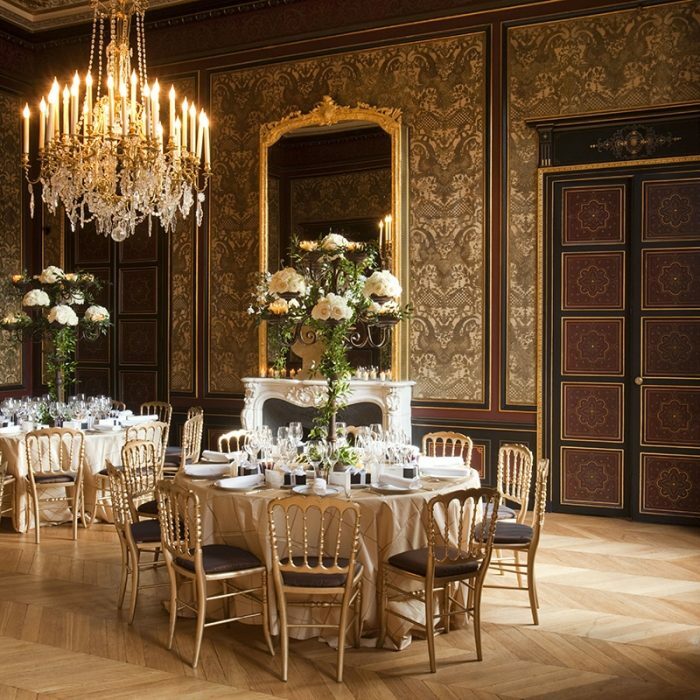 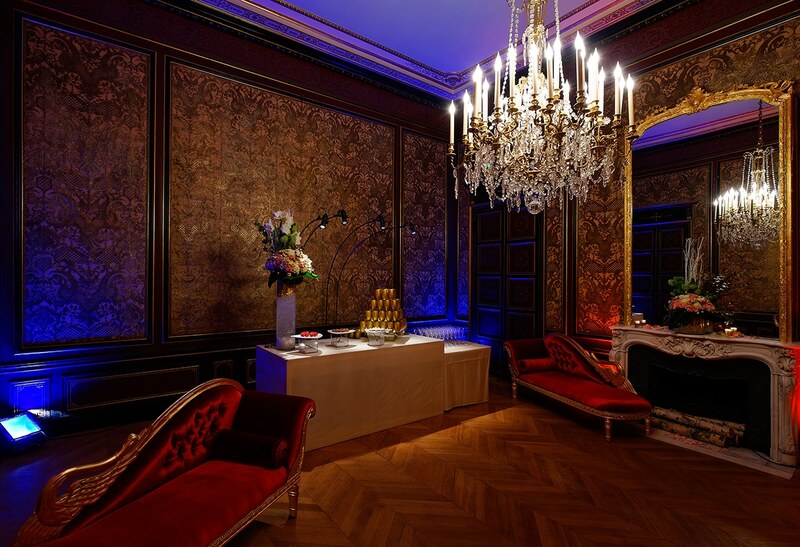 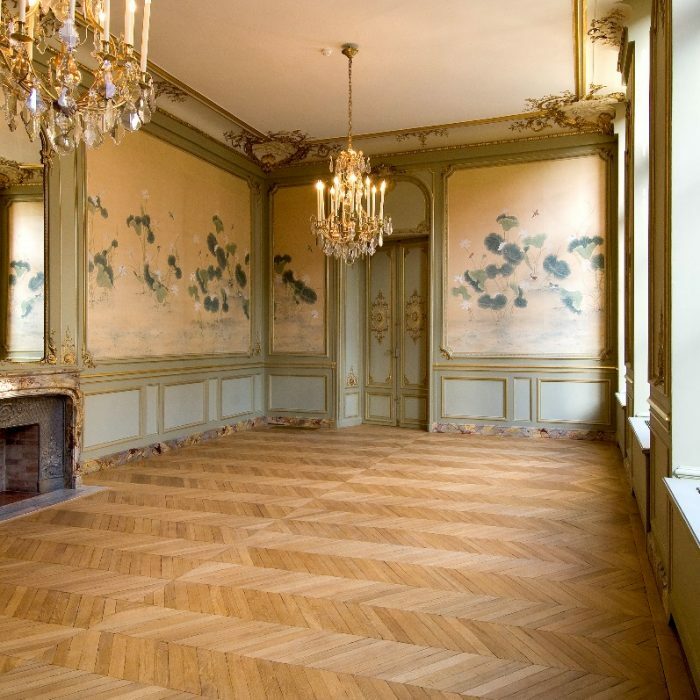 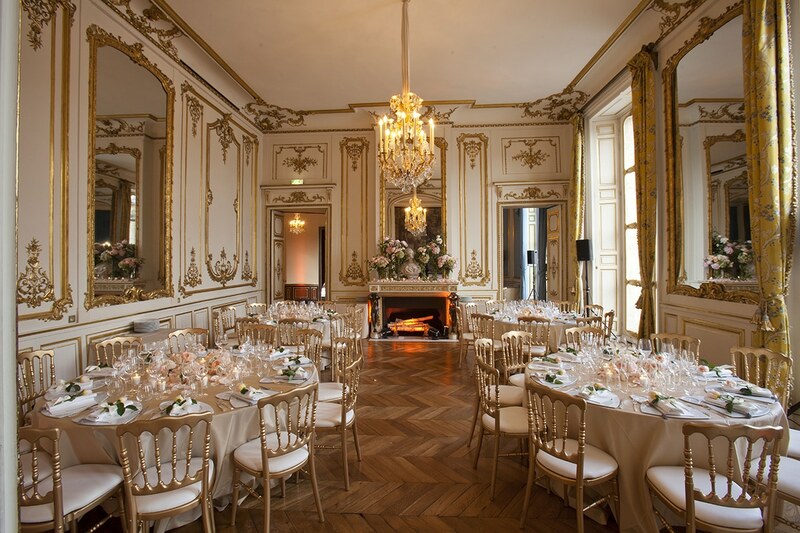 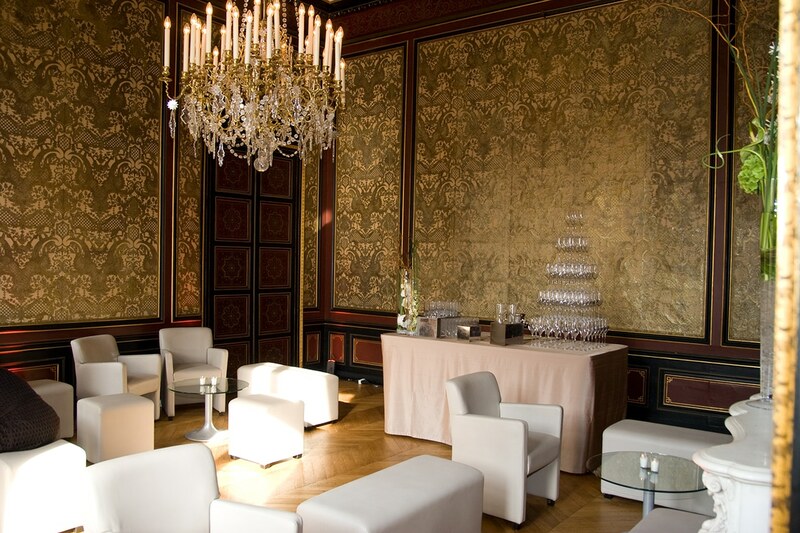 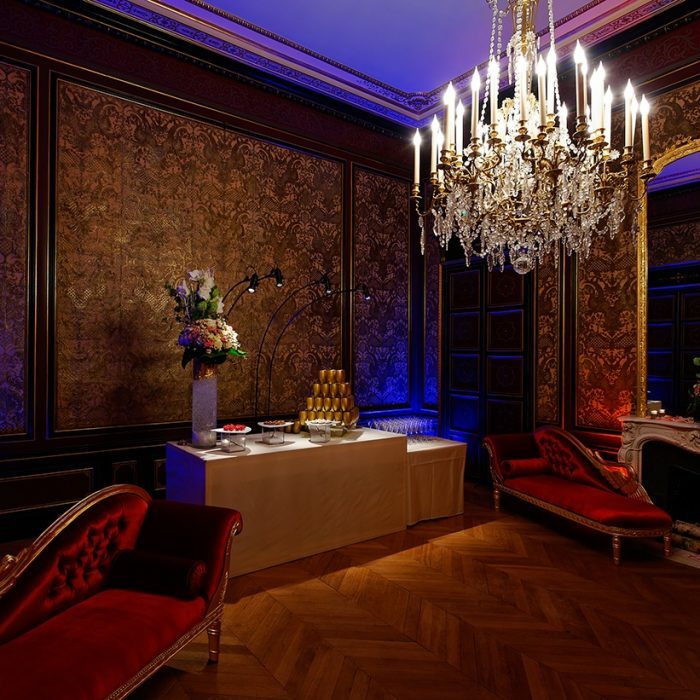 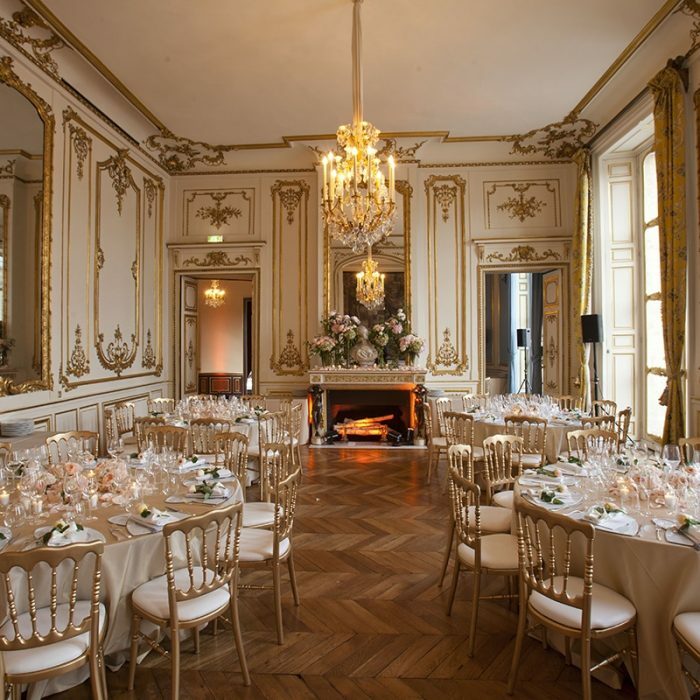 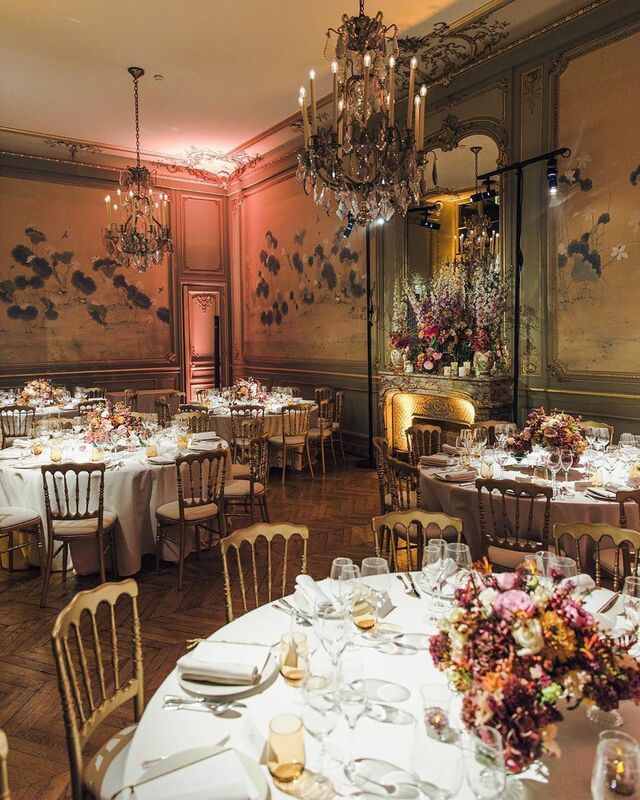 Courtyard side, the Napoléon III room is perfect for intimate receptions, featuring woodworks, gilded mouldings and a white marble fireplace. 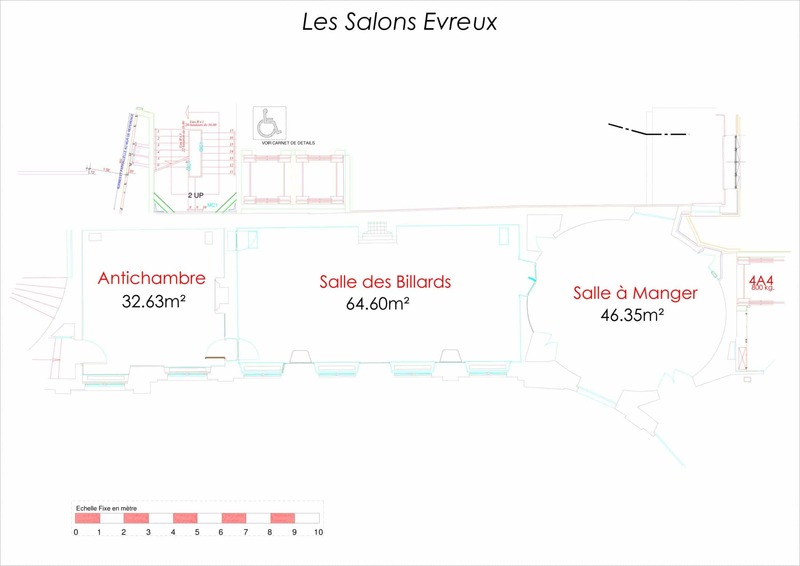 The Salle des Billards, as for it, offers many configurations. 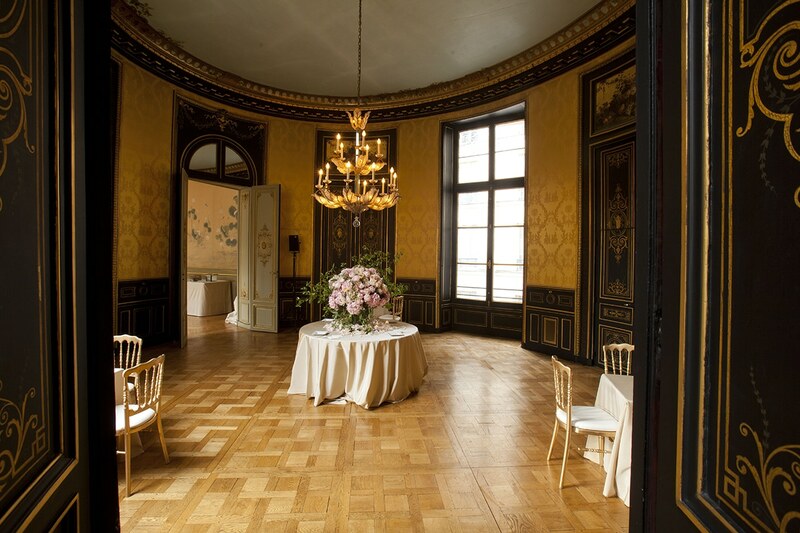 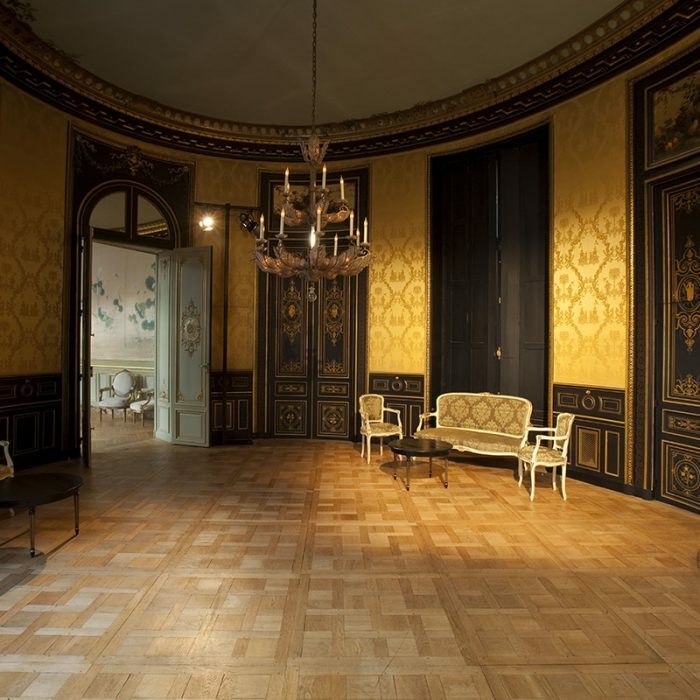 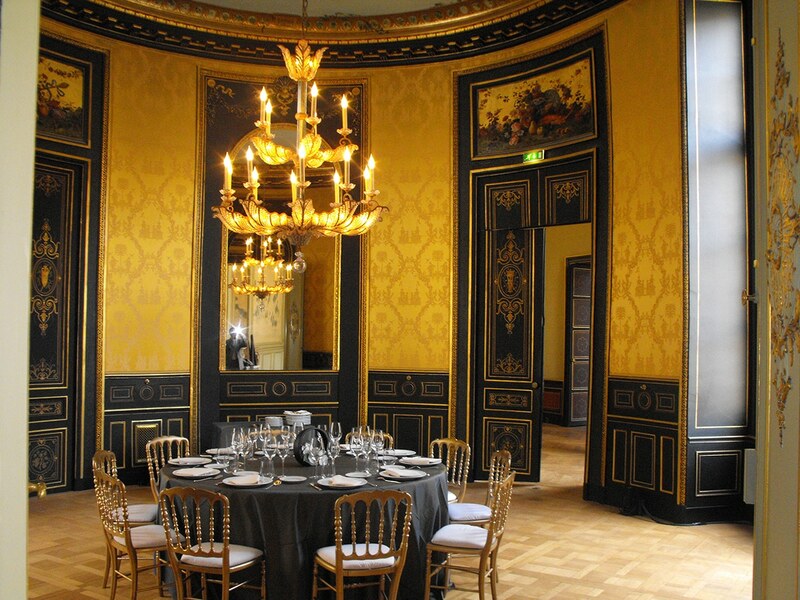 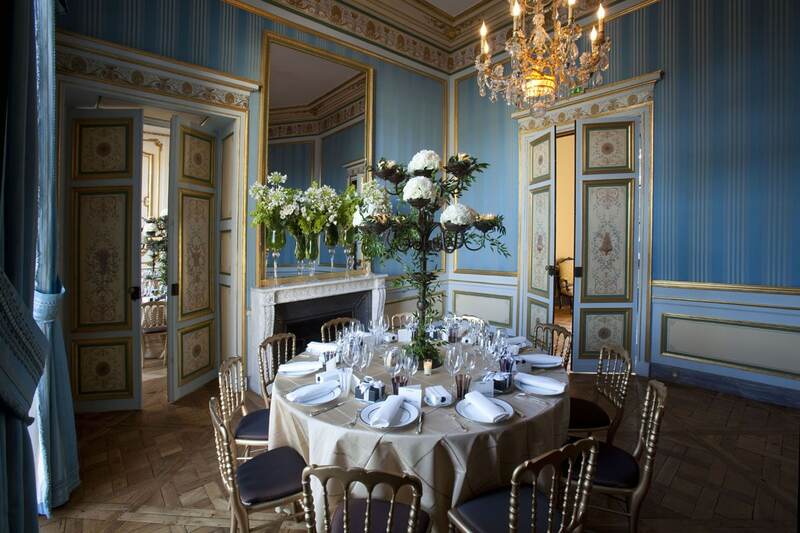 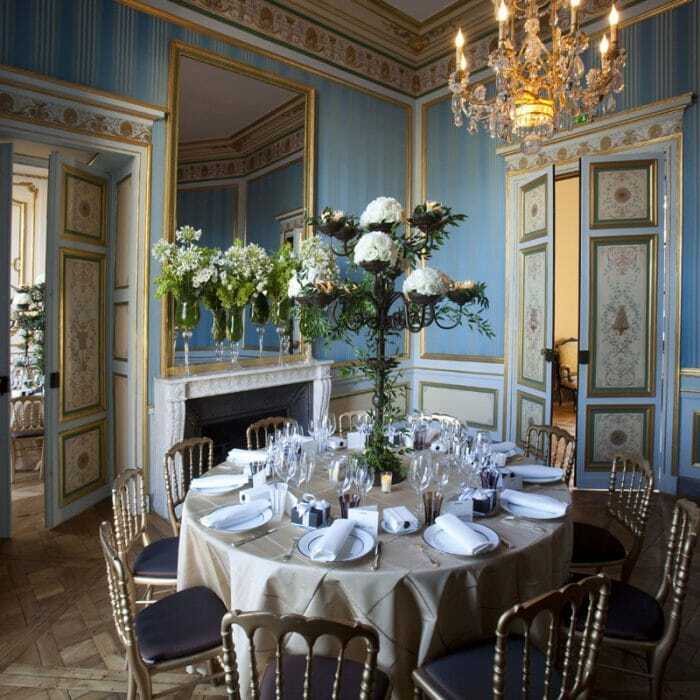 Ancient dining room, this circular room typically characteristic of the Napoléon III style, presents a scenery full of finesse and contrasts. 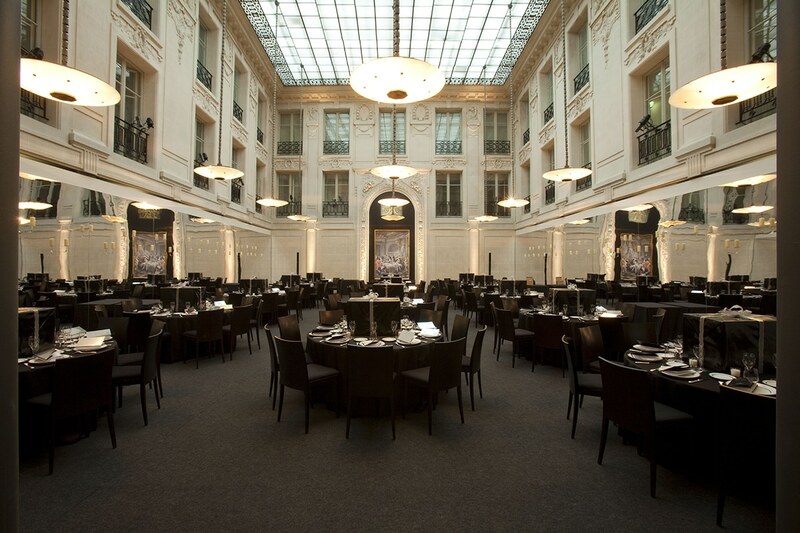 It opens with a largest room : the Salle des Billards. 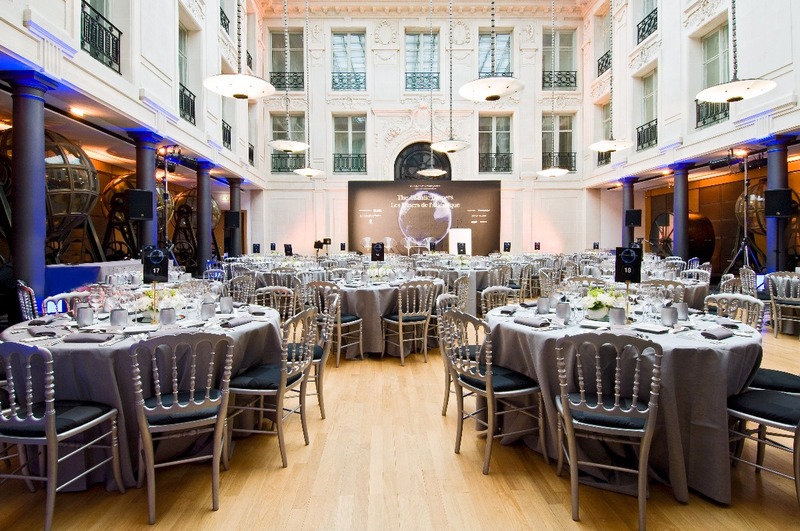 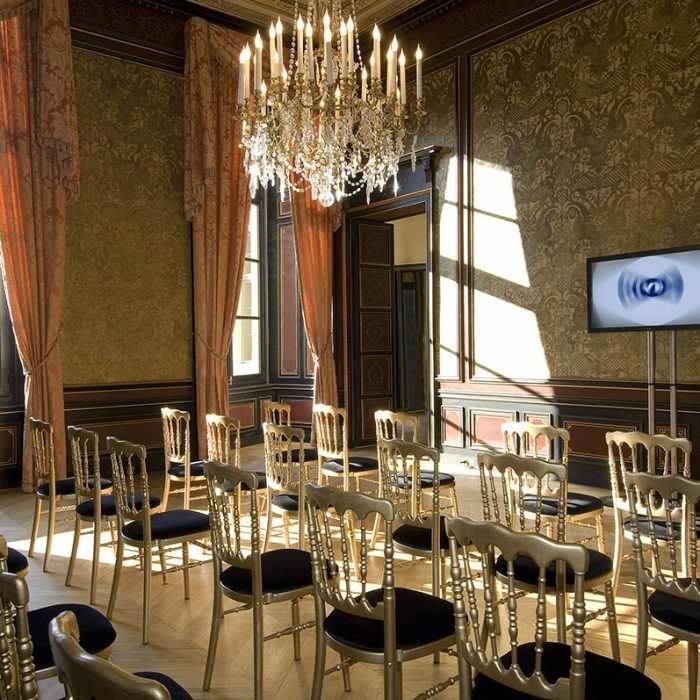 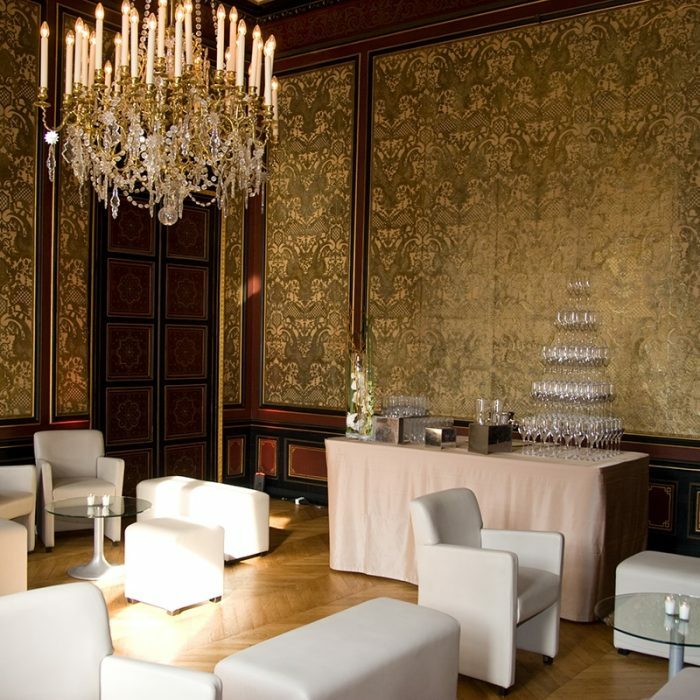 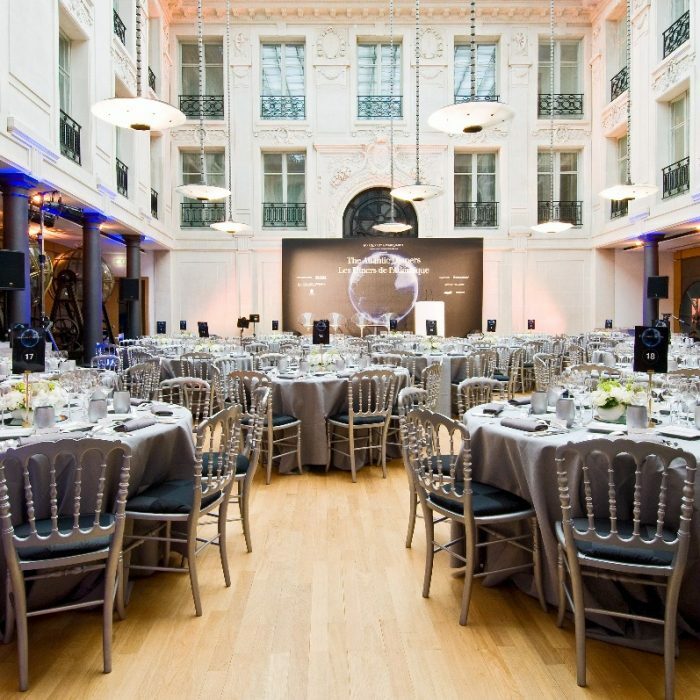 Adorned with superb panelling finely carved and gilded, it features a ceiling highlighted with an elegant frieze and easily becomes a conference room hosting up to 105 people. 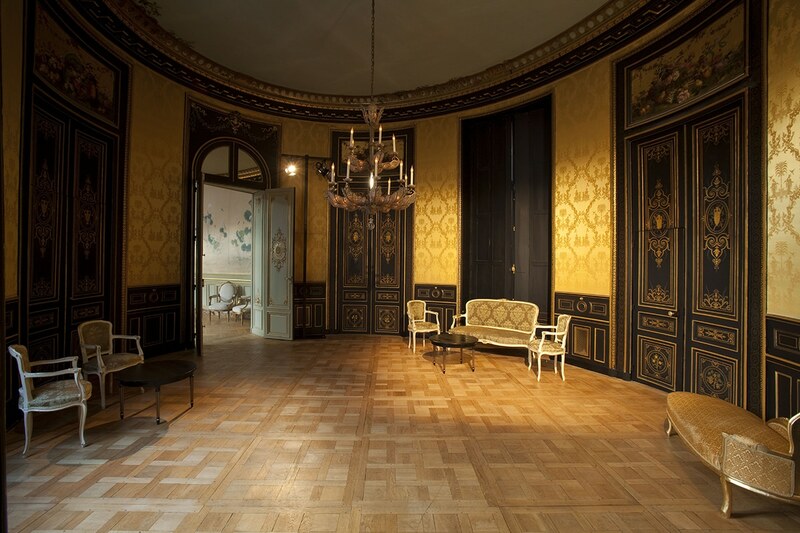 Finally, the adjoining antechamber lends its 30m² to all related needs, becoming sometimes artist dressing room, sometimes VIP room, or even an office. 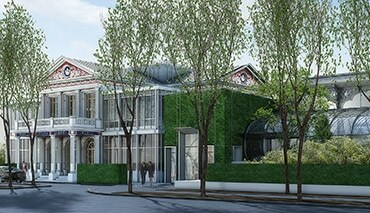 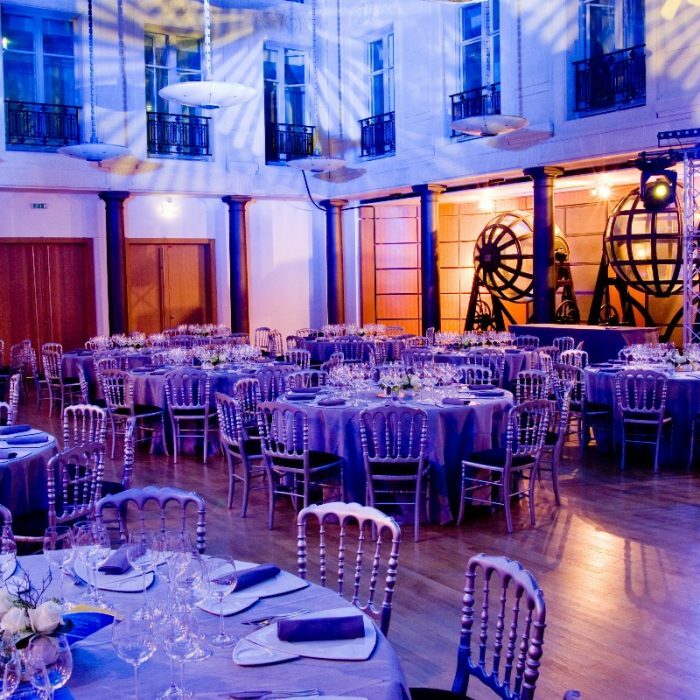 Bathed in the light of high windows and a glass ceiling surrounded by a carved frieze, the Salle des Tirages of the Hôtel d’Évreux shelters to this day the spheres used for the drawing of lottery loans in the years 1900, ancestors of lottery. 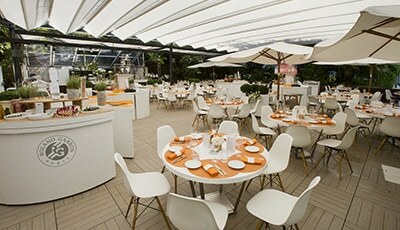 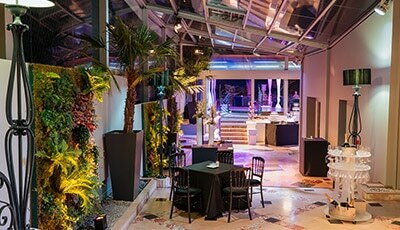 Its 200 m² provide a unique setting for collections presentations, product launches, cocktails, lunches and dinners... Around, three rooms open the intimacy of their cosy areas from 17 to 56 m². 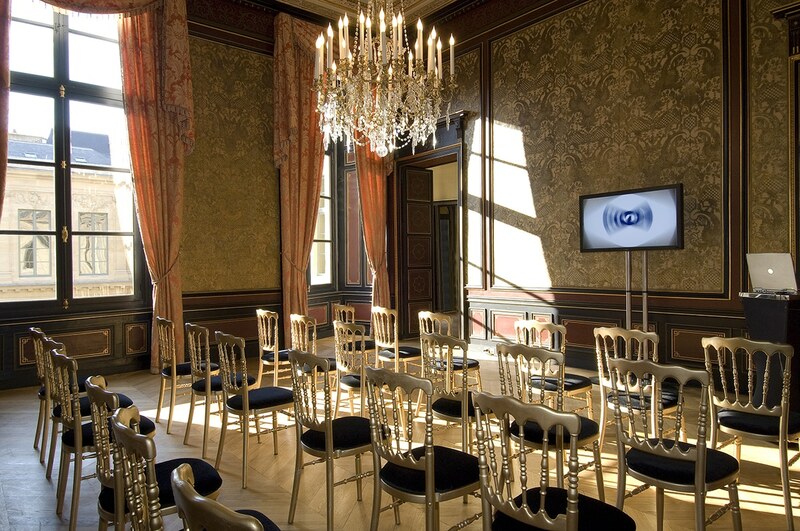 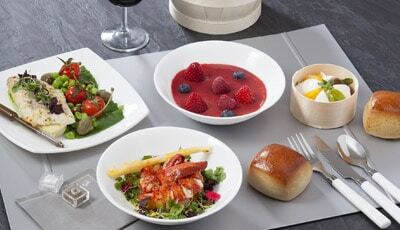 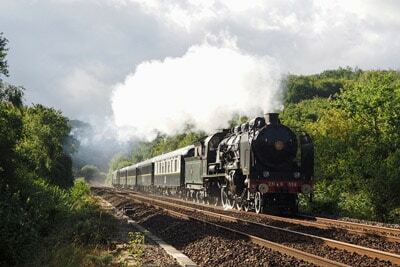 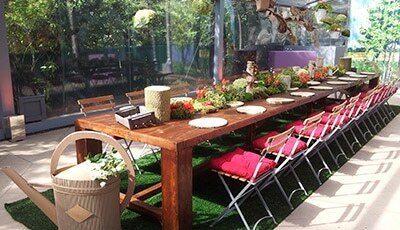 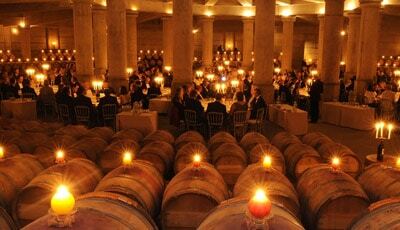 Encouraging small groups working, their volumes are perfectly suited for confidence and exchange of ideas. 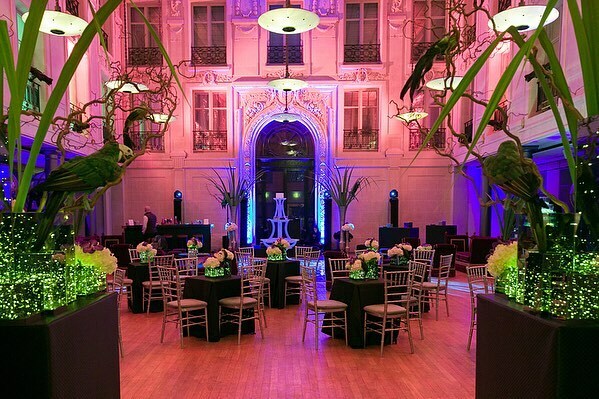 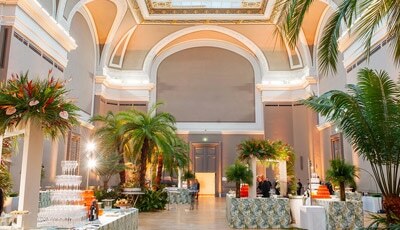 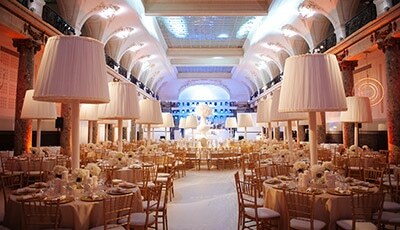 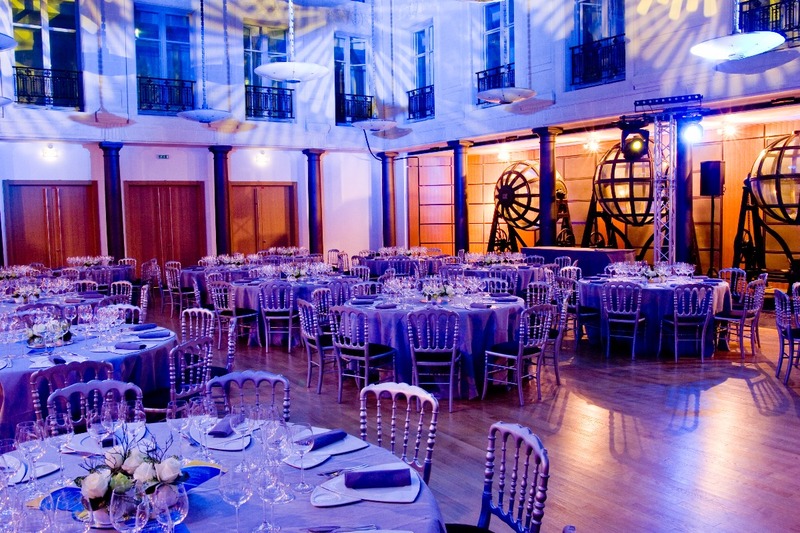 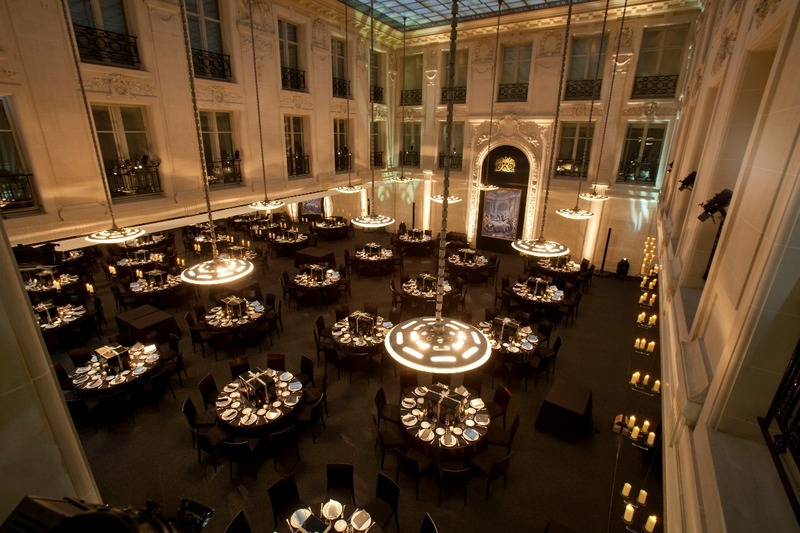 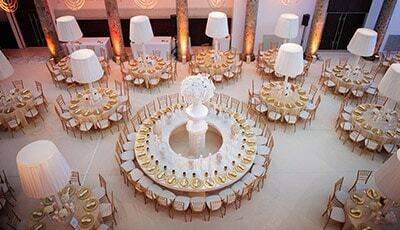 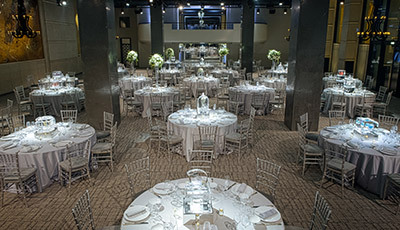 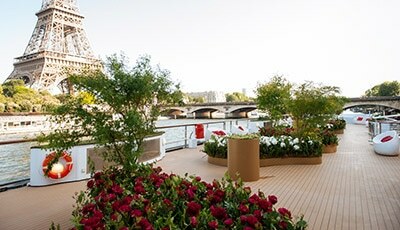 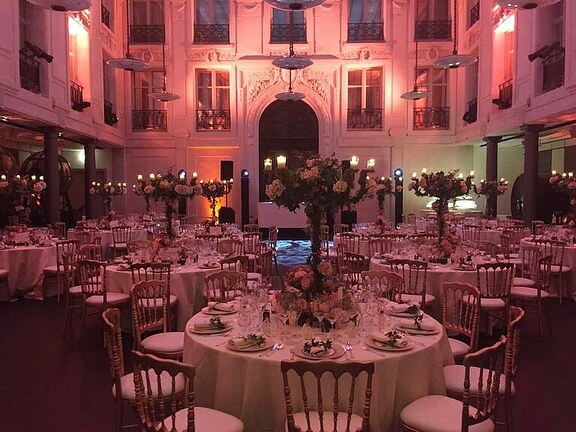 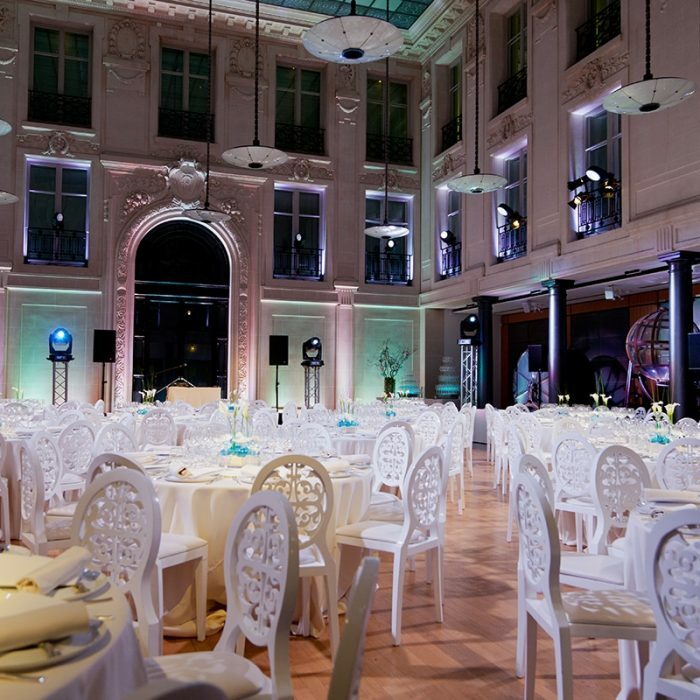 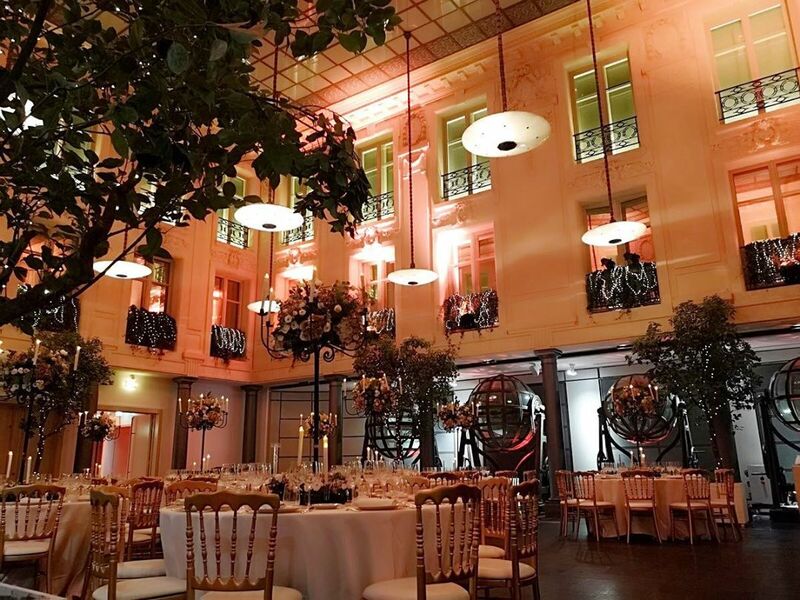 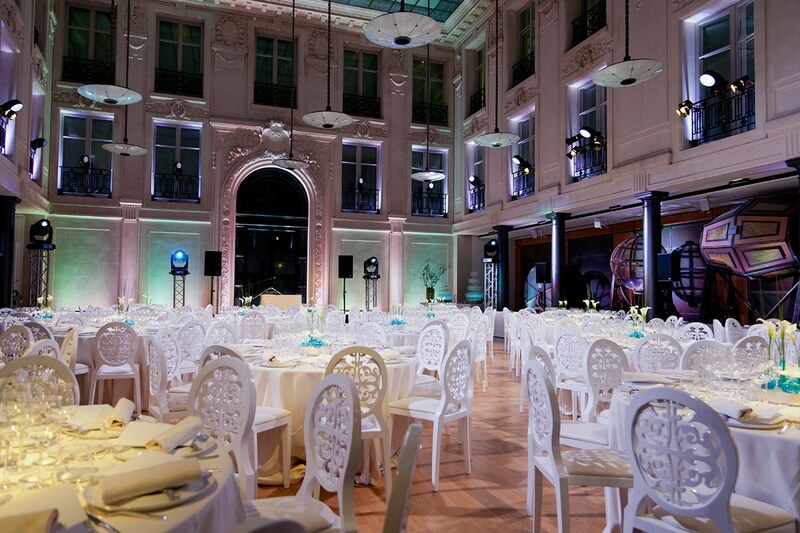 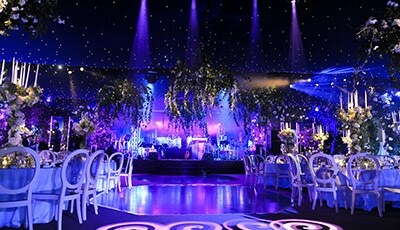 Belle soirée corporate dans la Salle des Tirages de l'Hôtel d'Evreux sur la Place Vendôme. 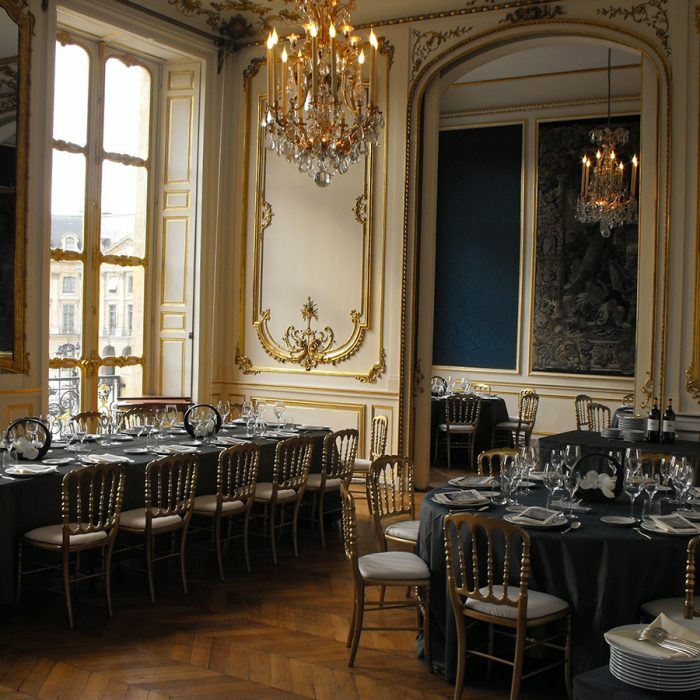 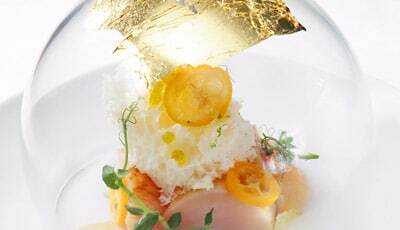 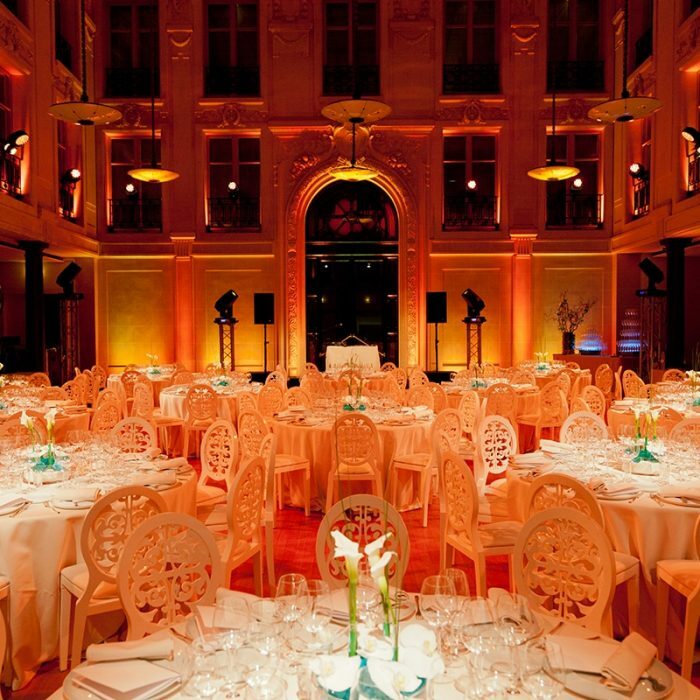 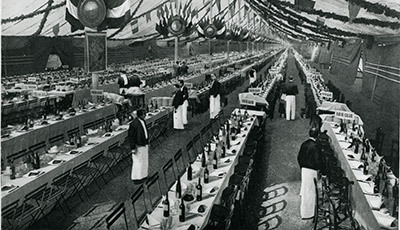 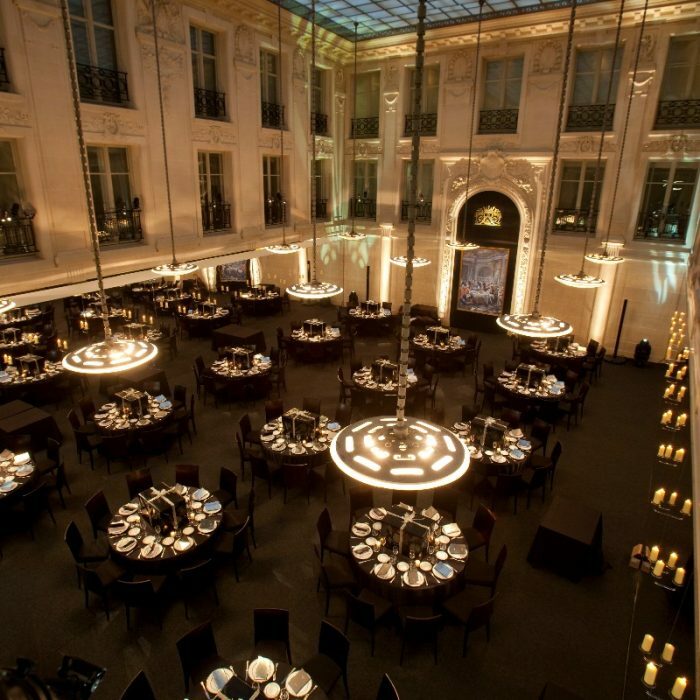 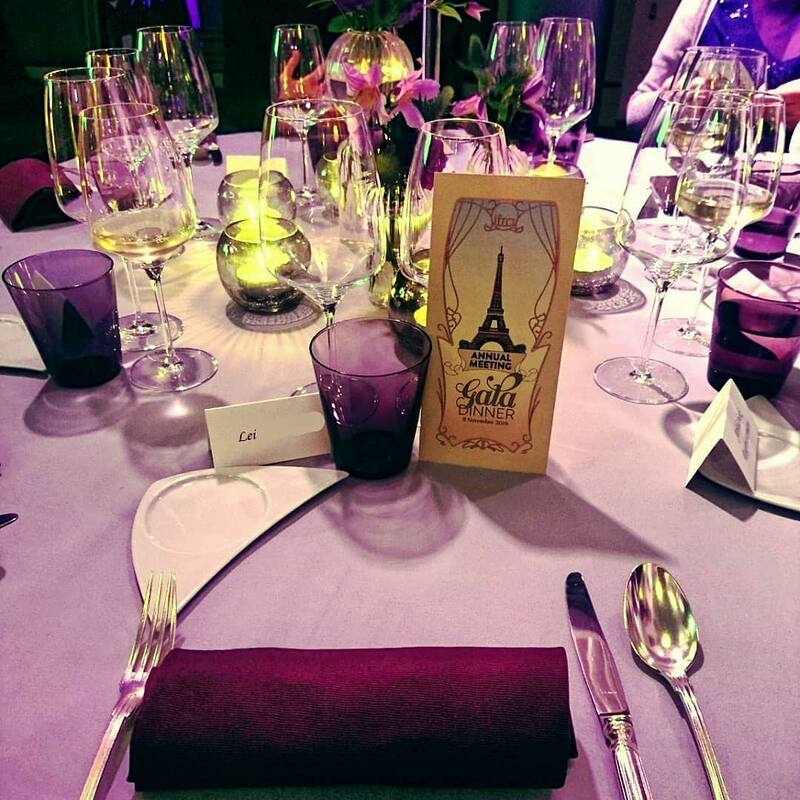 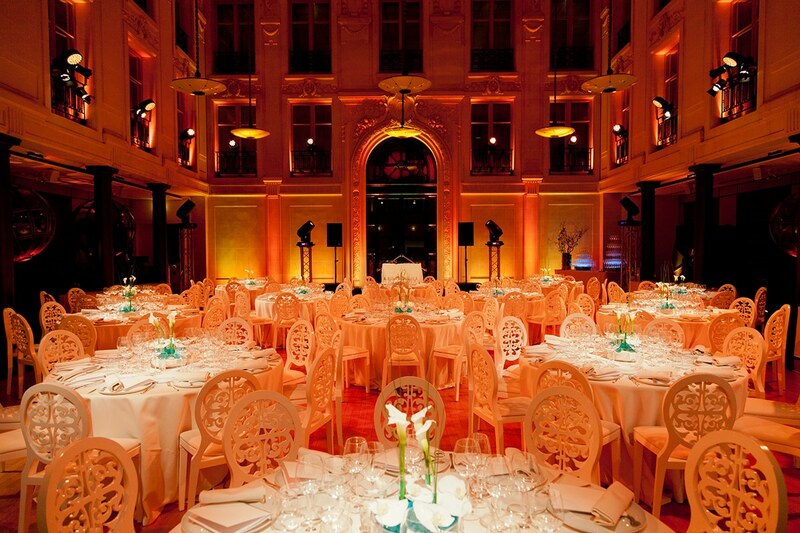 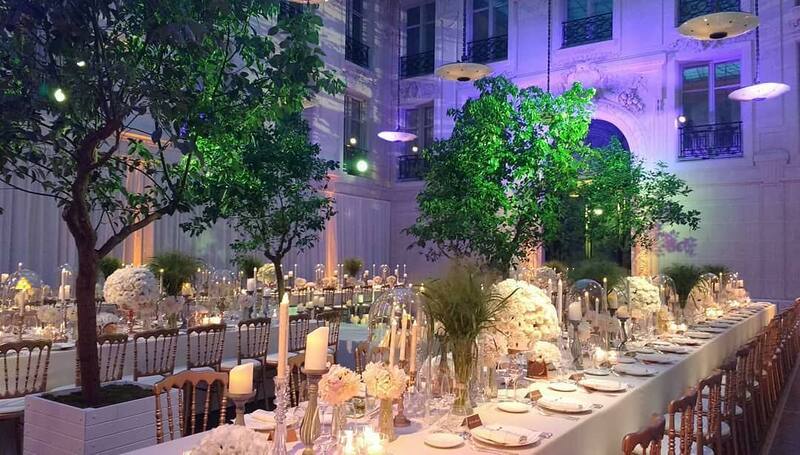 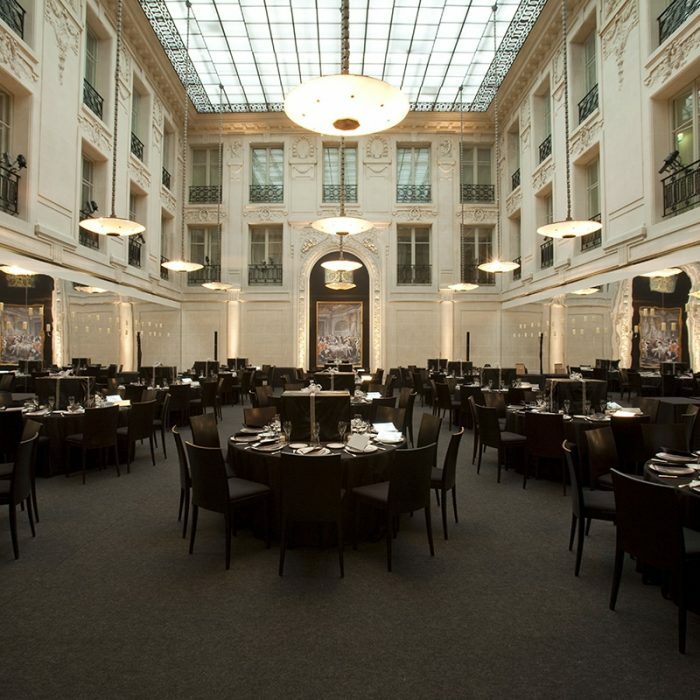 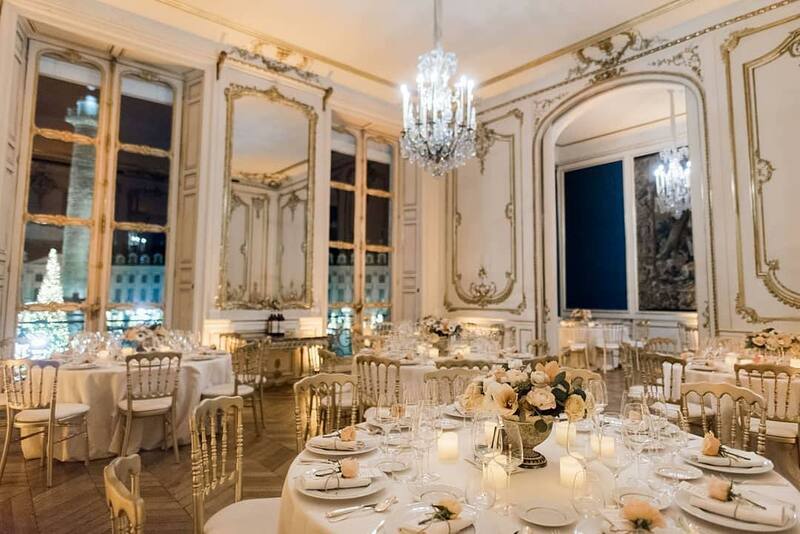 Dîner de gala à l'Hôtel d'Evreux sur la Place Vendôme. 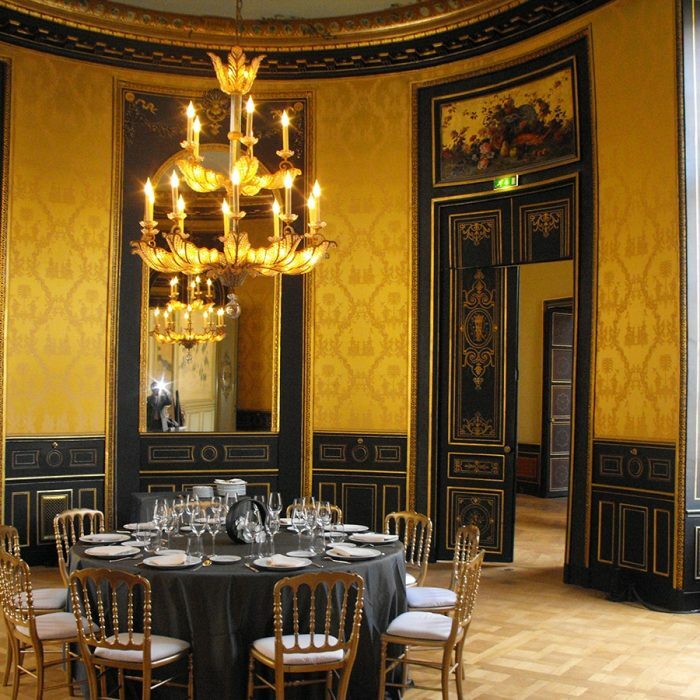 Soirée d'anniversaire intimiste dans les salons classés de l'Hôtel d'Evreux. 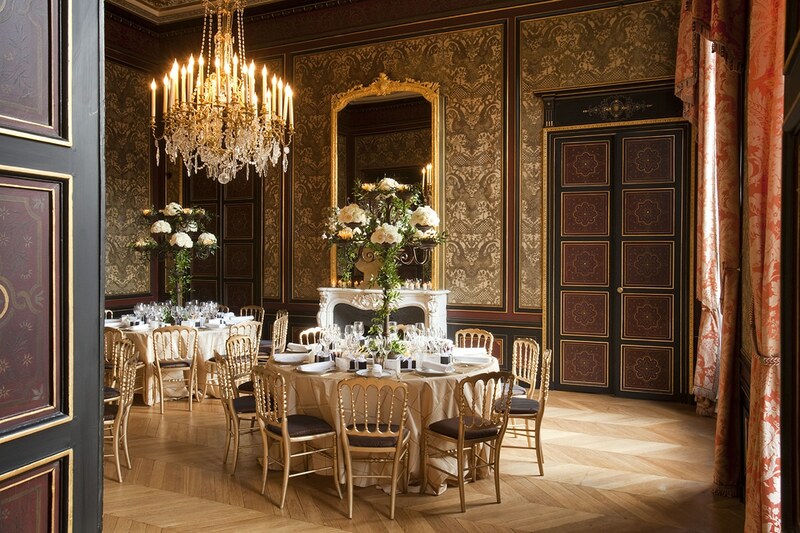 Chandelles et décor fleuri pour un moment magique à l'Hôtel d'Evreux. 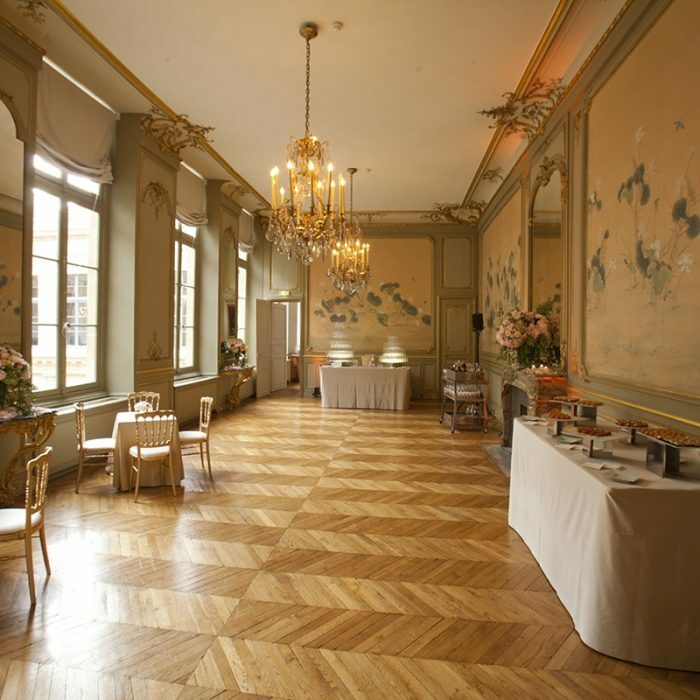 Sublime réception à l’occasion d’un mariage à l’Hôtel d’Évreux.